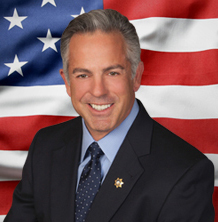 Last year, former Clark County Sheriff Doug Gillespie’s continuous attempts at a “More Cops Tax” failed to pass in the County Commission, after dozens upon dozens of citizens commented in person against the proposed tax hike, and hundreds of signatures against it were submitted to the commission. Shortly after, Gillespie announced his decision to not run for re-election, and recently, the big pusher on the commission during the last attempt, Tom Collins, resigned. 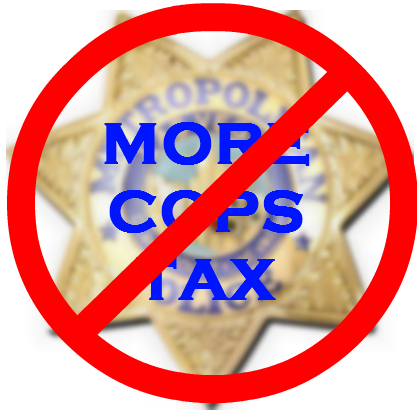 Even current Sheriff Joe Lombardo and the Police Protective Union were against the More Cops Tax. Well, now it’s back, as a proposal to increase the county sales tax rate by .05 percent. In case you haven’t been keeping up with the local scale of the police brutality issue, we are not spared and have still not seen ONE Metro cop arrested or jailed for any murder, no more than one ever fired. Just a couple weeks ago, this hit really close to home for me when a friend of a friend, Abel Correa, was killed by Metro police, apparently for holding a screwdriver a few feet away from them in a closet he was cornered in. The body cam footage shows how their statement that he “lunged at them” was another exaggeration and surely their latest tally in forever getting away with murder. Another man was killed just this weekend. We have not seen some drastic rise in crime and even though Sheriff Gillespie last year took the dramatic reactionary gesture of stopping police from responding to fender-benders, they still show up in 4s and 6s to detain pedestrians and arrest people for traffic violations. And of course, no need to even mention the overt intimidation tactics used by Metro on opponents of the tax as a whole following last year’s commission battle… but you can look back through my 2014 blog if you’d like a taste. There are many reasons to oppose the tax, and following are some clips of last year’s dissenting comments, then recent quotes from people opposing the new incarnation as well. You can submit your comments using this form if you can’t make it to the public hearing tomorrow, Tuesday September 1st, 2015, in the Commission Chambers the Clark County Government Center (500 S. Grand Central Parkway) at 10am. Let’s make it another filled-room record number turnout! “Las Vegas has a higher per capita ratio of cops to citizens than Chicago or LA. We have enough cops. Their time is being grossly mismanaged. Money is being wasted at an alarming rate. Metro has an undercover fleet that would make NY jealous and is unnecessary. SWAT units that could be its own army. It’s insane. The spending is out of control. We don’t need more cops or more taxes. We need responsible representatives, not millionaire cops and legislators. “More Cops Tax is fiscally irresponsible money management. In a quick survey on the average police pay around the country, we find police in Nevada are the highest paid police force, and Clark County being the highest paid in the state. I found that in Arizona, our neighbor to the south, the average starting pay for a police officer is roughly $15,000 a year less than the average starting pay in the entire state of Nevada, and an additional $15,000 more if compared to just Clark County.Our neighbor to the north, Utah, has an average starting pay for police at $56,000 a year, give or take a few hundred dollars. This is roughly $34,000 a year less than the officers in Clark County. The difference in pay is the average starting pay for a teacher in Clark County. In California, the average pay for a police officer starting out is roughly $59,000 a year. The average pay for a police officer at LVMPD is $89,000 a year. Roughly $30,000 more a year than a state that has 3 of the largest cities in the Nation. Again, the difference in pay is the average starting pay for a teacher in Clark County. Las Vegas is ranked 29th in in the nation for city size and population, but has a police force ranked 7th largest in the entire country! Our police force is ranked #1 for highest paid police force in the United States. We should not have one of the largest police forces, with the highest pay in the entire United States with a population of tax payers not even making the top ten! It’s greed. It’s misappropriation of funds. It’s malfeasance! It’s falsely thinking the job of a police officer is more important than the job of a teacher! With our school system ranking 50th in the Nation, our administration has the gall to ask AGAIN for an increase of pay for police, but ignores the obvious shortfall in education. We are sick of it! We have shortages in every industry BUT police. It’s about time we stop giving all our funds and tax dollars to fund an over paid police force, and start funding for our future by hiring teachers, do something about the homeless population besides brutalize them with the use of police force. Do something about the water shortage. Do something about the energy shortage, but seriously, stop trying to increase the police force, their pay or their benefits. Every police officer hired is directly responsible for lacking one teacher. That’s big because we have a severe lack of teachers and education funding. “But this scaled-back, countywide sales tax increase to boost police budgets isn’t worthy of approval because it has the same flaw as its predecessors: It burdens taxpayers to bail out fiscally unsustainable local governments that have no interest in making hard decisions and prioritizing their spending. … We already have the best-paid local government workforce in America (including Metro officers), and that comes at a cost. And don’t get us started on the city of Henderson, which just increased recreation fees, provided its police with a 2.5 percent raise that will cost about $1.2 million per year going forward and has too many institutional problems to list here. Henderson doesn’t need more police or more tax money, yet it’s about to get both. A look at Police Misconduct in Clark County, Nevada and Across the U.S.